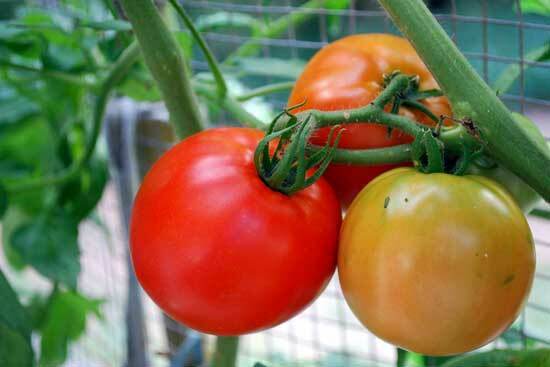 The Better Boy tomato (F1-hybrid) is a large globe-shaped tomato, with one pound fruits common. Better Boy got its name as an improved version of the Big Boy tomato. This classic variety is known for its large fruit and huge yields. The fruit interior is deep-red and very meaty, not seedy. It grows indeterminate (tall) vines and will benefit from some type of staking or caging if you don't want the fruits to be in contact with the soil. The Better Boy plant is also noted for its dense foliage.